... I would like to move in. LOVE and appreciate the artistic talent and skill required for the stripes, but I'd prefer them not on the ceiling (personal preference only!). But, I do appreciate the talent and the sunshine-y room! What a fun room. 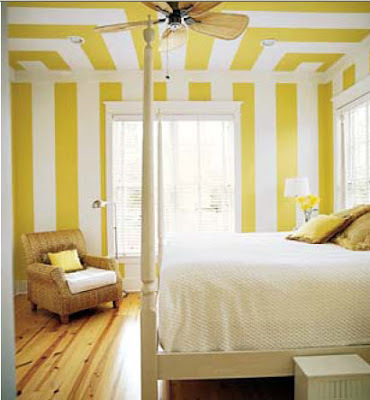 I cannot imagine painting those stripes on the walls OR ceiling!